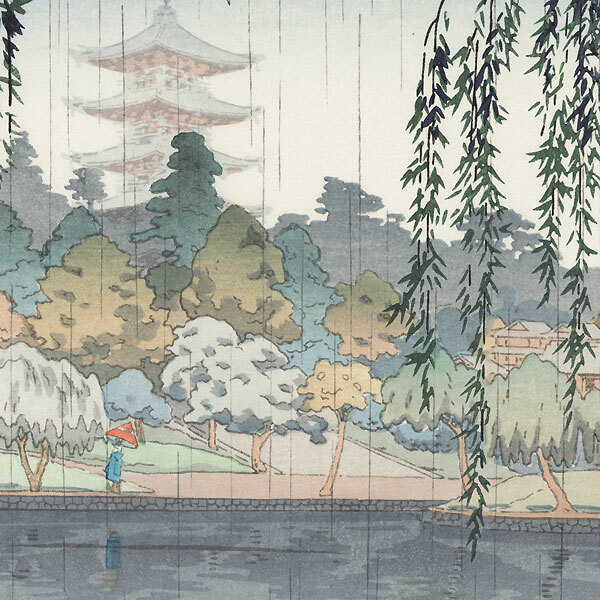 Comments - Beautiful Koitsu design of rain falling at Kofukuji or KofukuTemple in Nara. 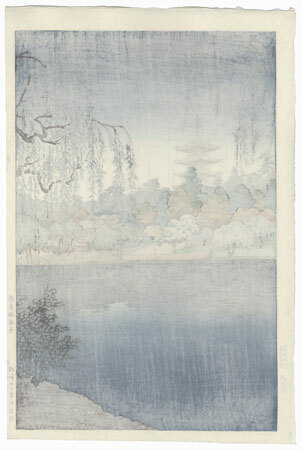 Willow trees frame a view of a lake with the temple spire rising high above the tree in the distance. A lone figure under an orange umbrella strolls along a path on the far side of the water. A lovely landscape, beautifully shaded with shimmering reflections in the water. 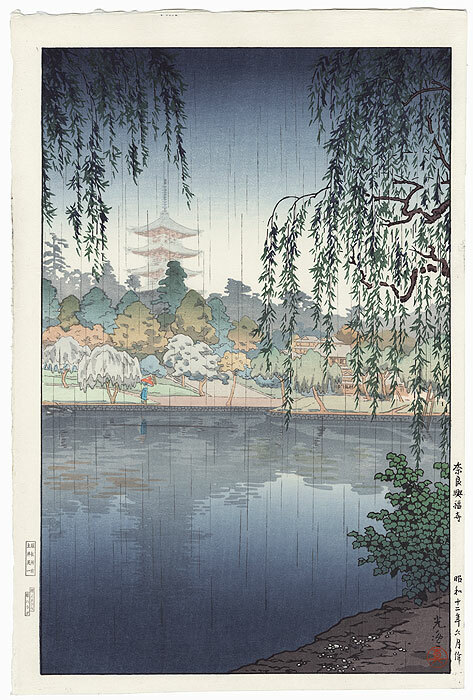 A wonderful shin-hanga print.